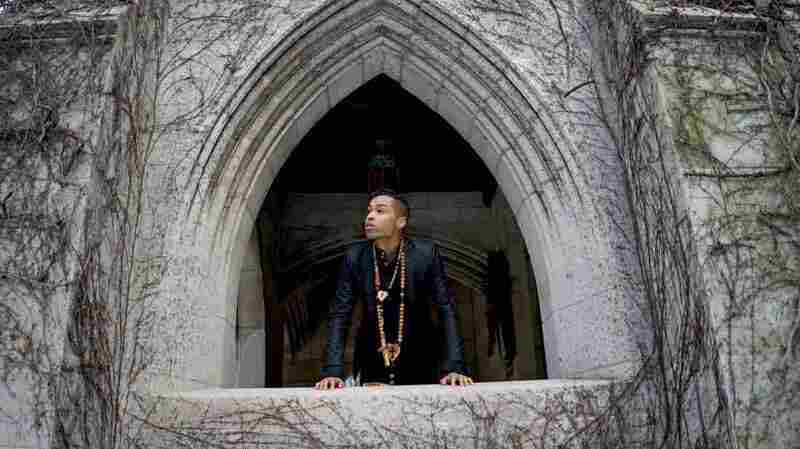 A Preacher's Kid Finds His Own Sanctuary In Music Sir the Baptist grew up on the South Side of Chicago. NPR's Scott Simon talks with the singer and rapper about how music became his way of picking up where his father left off. Sir the Baptist's debut album is Preacher's Kid. William James Stokes is the son of a church man, and on his first album he comes right out with it. The Preacher's Kid is the singer and rapper's debut as Sir the Baptist, a name he felt suited his origins in the Bronzeville district of South Side Chicago. "I grew up in a Chicago area where they called it 'Chi-raq' — and I felt like if I was gonna be the voice crying out in the wilderness, I would want to be John the Baptist," he says. Stokes spoke with NPR's Scott Simon about playing Lollapalooza (where he began his performance by stepping out of a casket), writing about abuse in his extended family and pursuing a more progressive version of the religious education he was born into. Hear their conversation at the audio link.